In 2018, Fiji was named as the happiest country on earth, which is no surprise thanks to the amazing tropical weather, spectacular beaches and warm and gentle locals. 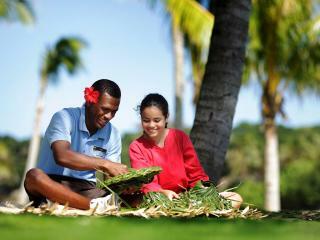 Tourism is Fiji's largest industry earning over F$500 million in foreign exchange per year. With tourism growing at a rate of 10-12% per year, this is having an amazing impact on the development of the nations economy. Coral gardening techniques are being implemented to restore Fiji's reefs after severe damage caused by mass coral bleaching. The Outrigger Fiji Beach Resort has been named the Best Family Hotel or Resort in Fiji at the annual Family Travel Awards for 2018. Designed to help families better navigate hotels and resorts abroad, the Family Travel Awards provides consumers with a trusted source of information and inspiration. 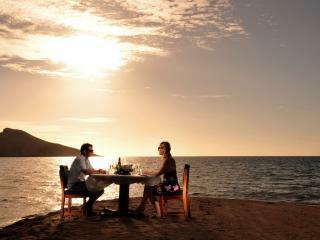 Is This The Most Romantic Resort In Fiji? 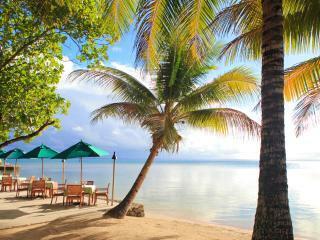 Set on the shores of the Mamanuca Islands, Tokoriki island Resort is an exclusive adults only Fiji escape. The luxurious resort has received countless accolades over the years and has most recently been awarded the Trip Advisors #1 Luxury Resort in Fiji for 2019. 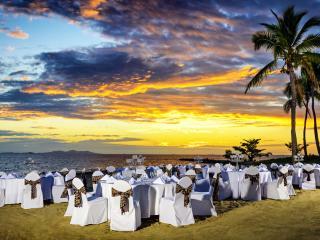 With its stunning natural beauty and romantic ambiance, Fiji is the picture perfect place for a destination wedding. Just a 4 hour flight from Australia's east coast, couples can tie the knot beneath an idyllic island landscape surrounded by azure blue waters and sun-kissed shores. From beachfront ceremonies to traditional dress and culture, you can say "I do" in tropical paradise at our favourite Fiji Wedding Venues. 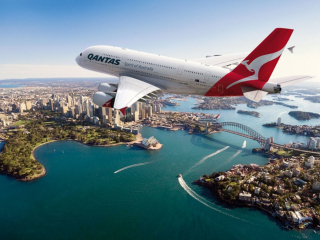 Major Australian airline, Qantas is looking to return to Fiji in 2019 for the first time since the early 2000s. New Zealand businessman, Grant Moreton is investing $8 million to construct a cultural centre in Nadi. Located on the picturesque shores of Lomaiviti Island, Toberua Island Resort is a taste of pure Fijian paradise that has been dazzling tourists for decades. The Duke and Duchess of Sussex, Prince Harry & Meghan Markle, touched down in beautiful Fiji on, Tuesday and were greeted by hundreds of exuberant school children, and people of all ages trying to catch a glimpse of the royals. 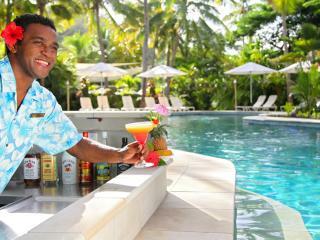 The Outrigger Fiji Beach Resort has been awarded the 'Best Fijian Property' at the annual Hotel Management Awards at the Sydney International Convention Centre last week. The Fijian Government is fighting to contest a 'Bula" trademark that was made by an American bar in Madeira Beach Florida. The InterContinental Fiji Golf Resort & Spa has appointed a new executive chef, David Bell to elevate and redefine the hotels’ dining experience. 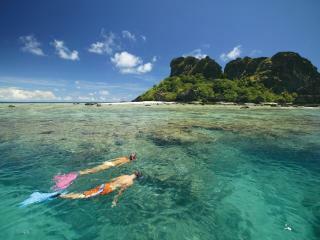 Our favourite tours and activities helping you discover the magnificent islands of Fiji. 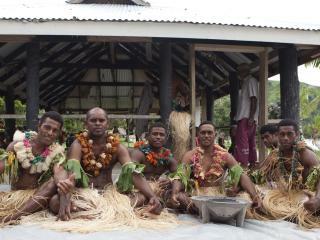 Well known Fijian band Tolu have announced a new direction for their traditional sound. Pioneers in the iTaukei music industry, the local band recently spoke of plans to introduce rap and hip-hop to their repertoire. Widely known for their love ballads, hymns and jazz numbers, the trio announced ta new album incorporating these contemporary genres to be released later this year. Indian Gaganjeet Bhuller claimed the Fiji International title over the weekend, after recording an eagle on the 17th hole and setting himself up for a one-shot victory against Australian Anthony Quayle. Held at the Natadola Bay Championship Golf Course the 30-year-old made par on the final hole to win with a six-under 66 and 14-under total of 274. The Fijian government have reaffirmed their commitment to Fiji’s development this month with a women’s training program designed to support the country’s mission to not leave any Fijian behind. Last week Mereseini Vuniwaq, Minister for Women, Children and Poverty Alleviation, spoke to 32 graduates from the villages of Solevu, Yanuya, Tiliva and Yaro. The women had completed a five day intensive program, training them in floral arrangement, fabric art and use of a sewing machine. 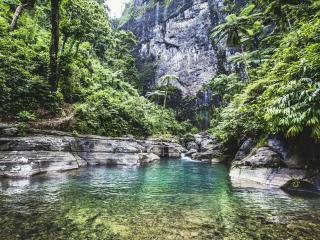 Tour Managers Fiji have announced the establishment of ‘Green Project’, a new initiative designed to target the Japanese tourist market with activities and cultural exchanges which offer a focus on sustainability. Is Fiji the perfect destination for a girls’ getaway? Just hours from Australia’s east-coast, Fiji promises white sands, gin-clear waters and the gentle sway of tropical palms. 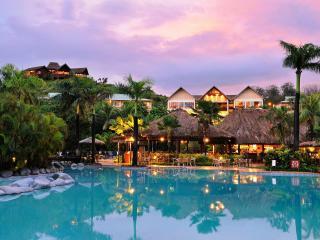 In short, Fiji is the ultimate destination holiday for your next girls’ getaway. Equipped with world class spas, stunning natural landscapes and extraordinary luxury villas, this kind of holiday is best enjoyed with a favourite group of girlfriends and uninterrupted time for relaxation and pampering. Here we’ve compiled some of our favourite Fiji resorts and villas for those planning the perfect girls getaway. This week Kensington Palace announced that Prince Harry and his new bride, Meghan, will be visiting Fiji, Australia, New Zealand and the Kingdom of Tonga in Autumn this year. The tour, with dates still to be announced, is expected to occur around the same time as the Invictus Games, which will be held in Sydney between the 20th and 27th of October. Renowned for it's pristine white beaches and crystal waters, Fiji has been a favourite Pacific holiday destination for decades. 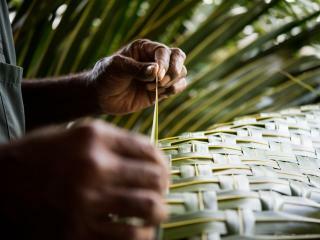 However, despite the multitudes of Australians who arrive on Fiji's shores each year, how much do we really know about the island nation and its rich history? Following on from their fourth consecutive win at the Hong Kong Sevens on Sunday night, the Fiji men’s sevens have landed in the Gold Coast ahead of their opening match at the Commonwealth Games on Saturday. For the fourth year in a row, Tokoriki Island Resort is celebrating a bevy of awards from the world’s largest third party travel review website TripAdvisor. 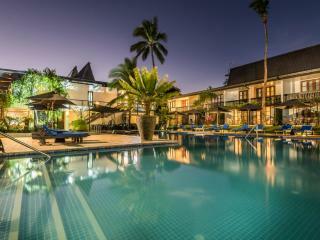 Rating in the Top 10 hotels for Fiji and the Top 25 hotels in the South Pacific, Tokoriki has managed to retain three of its number one rated hotel awards. 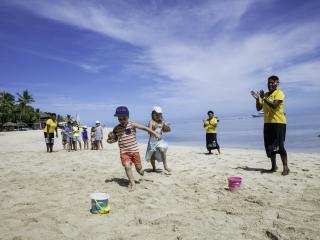 Aussie visitors to Castaway Fiji won’t have to miss out on all the festivities involved with celebrating Australia Day thanks to the resort’s bonza program of games, sport and good old Aussie tucker. January 26 2018 will be the 230th anniversary of Australia Day and Castaway Island Fiji will celebrate with a fun, family friendly day packed full of activities. The idea of an overseas holiday seems wonderful, until you start thinking about taking the whole family. Suddenly the stress of keeping the youngsters and the teens happy on a long flight starts to set in and finding activities that are suitable for the whole seems all too hard. 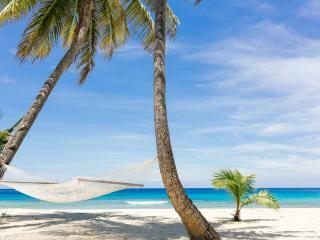 Well relax, Fiji is one of the most popular overseas holiday destinations for Australian families and for good reason. The flight is short and comfortable, the weather is wonderful all year round, the Fijians are famous for their warm hospitality and the resorts are renowned for having some of the best kids clubs in the Pacific. 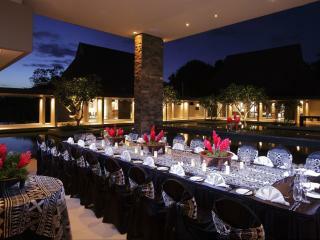 It’s the perfect destination for parents to relax and kids to have fun. InterContinental Fiji Golf Resort & Spa has been named Australia & Oceania’s Luxury Family Resort and Luxury Golf Resort at the 2017 World Luxury Hotel Awards. The double honour was announced at a Gala Ceremony hosted in Switzerland on 2 December 2017. This recent honour follows the resorts other double honour, having also been named Fiji’s Best Beach Resort and Best Family Resort 2017 by Haute Grandeur. Fiji Airways has announced its revolutionary new resort check-in service, allowing guests to make the most of their last few moments in Fiji rather than lining up at the airport. Guests flying Fiji Airways and staying at the Sofitel Fiji Resort and Spa can now enjoy some extra hours on the beach or by the pool and bypass the queues at the airport thanks to the national carrier’s new in-resort check in facility. Flights to Fiji are now available for less than $500 return thanks to Jetstar and Fiji Airways. Both airlines are offering cheap seats right now but budget airline Jetstar has the winning price with Sydney to Fiji return airfares for just $464. For just $25 more you can fly with Fiji Airways which is a full service airline that includes seat selection, checked luggage, in-flight entertainment and meals absolutely free. 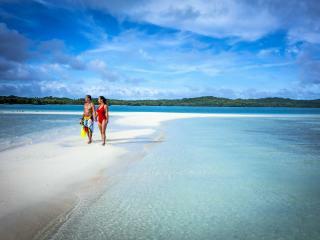 If you’re looking for romance, you’ll simply love Fiji. Imagine walking hand-in-hand along the soft white sands of a deserted beach. Fragrant frangipanis permeate the balmy air and the only sounds you can hear are the waves gently breaking on the shore and the songs of tropical birdlife. 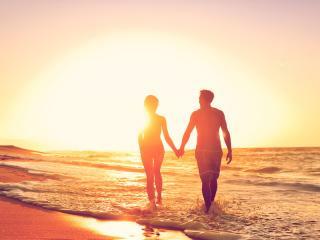 Whether you’re a newlywed or just looking for a romantic escape with special someone, [/link https://www.tourismfiji.com/fiji-honeymoon-packages.html] Fiji honeymoons[/link] truly are what dreams are made of. 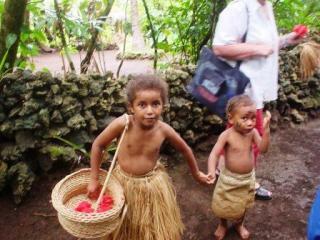 Fiji has long been one of the most popular family-friendly holiday destinations for Aussies travelling abroad. 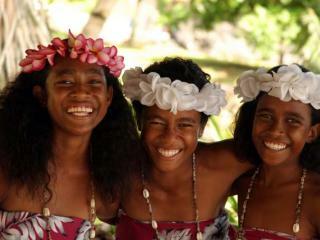 Fijians just love children and their friendly charm and natural affection make them the most fabulous hosts for family holidays. Their big, wide smiles and never ending kindness makes them part of the family in no time and keeps families coming back year after year. 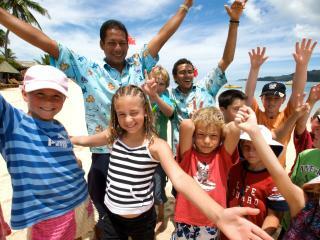 Best of all, most Fiji resorts offer an onsite kids club where children of all ages are invited to make new friends and join in a fun yet educational range of supervised activities. 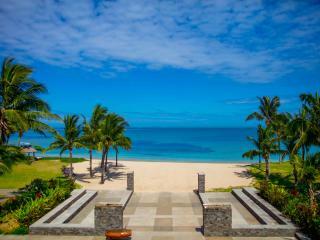 Can You Really Escape to Fiji for a Weekend? 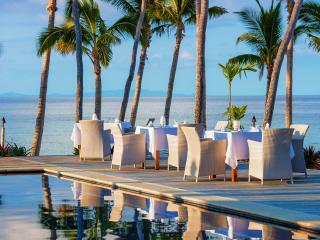 If you’d rather spend your Friday sitting by the pool sipping cocktails than sitting in rush hour traffic then like us, you’ve probably dreamed about escaping to Fiji for the weekend. No need to get leave approved from the boss, you could just disappear for a few days of well-deserved relaxation and no one would even notice. 44 year-old Australian golfer Jason Norris has defied the odds and taken the biggest win in his 21-year career last Sunday at the Fiji International. The Adelaide battler has defied death in 2007 and come close to giving golf away a few times since, Norris’ victory at Natadola Bay is life-changing and not least of all because of the $250,000 prize money. Gone are the days of buying a raffle ticket to win a meat try from your local pub, it seems these days raffles just aren’t what they used to be. Lucky for you, they’re better and this one is a real doozy. 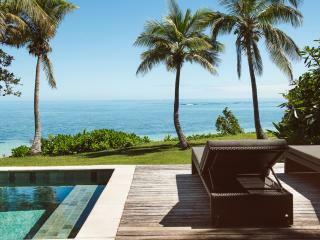 A mysterious Australian benefactor is raffling off 5 villa and lifestyle packages on a private Fiji island and the potentially life changing tropical prize pool has sparked a frenzy around the world. Some months ago rumours started swirling about a new day trip that was so good it was making waves in the tourist market. A day trip that was so good, customers were making the effort to come back to the tour desk to share what a wonderful time they had. Their praise covered everything from how much fun they had to the unexpected things they did and saw, the fantastic food and the wonderful crew. In fact it’s not new, it’s a Captain Cook cruise that’s been around for 20 years however it’s recently received a face lift and it’s certainly making a splash with visitors. 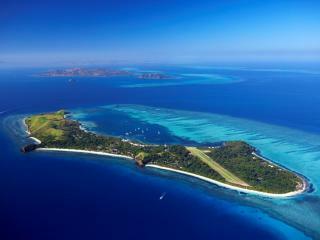 Just a few hours by air from Australia, Fiji has been described as heaven on earth. As Australian’s continue to shiver through winter, it’s no surprise that we’re turning to inspirational social media platforms such as Instagram to escape the cold and dreary cityscape. The friendly holiday destination of Fiji is easy and affordable, and as we follow along with our favourite travel ‘grammers we can’t help but imagine ourselves there. So if you feel like making your friends jealous, make sure you visit our top 5 most instagrammable locations in Fiji and snap yourself silly. Ever wondered how the other half live? If you’ve ever walked through business class as you make the cramped journey down to your seat in ‘coach’ then you’ve probably wondered what it’s like to fly up the front of the plane. Aside from the extra space, you may have wondered what other benefits they get up in business. Do they get pyjamas made from the soft downy fluff harvested from baby alpacas at the top of Machu Pichu? Is there a teppanyaki chef up the front grilling up lobster tails and wagyu beef that he skilfully flips to each person’s seat with one swift flick of his wrist? 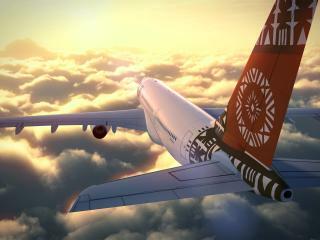 Stay tuned, as we reveal what it’s like to fly business class to Fiji. 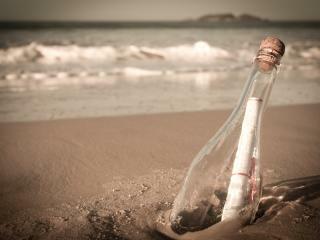 A message in a bottle that was released from the waters of Fiji has made its way more than 4,000km across the Pacific Ocean to be washed ashore on Hungry Head Beach just south of Coffs Harbour on the New South Wales mid-north coast. The bottle, which was released by American college student Sadie Parsons during a research trip in 2015 was discovered by 9 year old boy Tristan Scilinato as he walked along the sand. You don’t have to have your own agent or a billion dollar bank balance to travel in style and holiday like a Hollywood star. 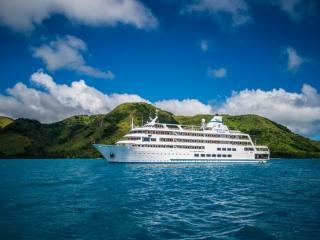 In Fiji, you can live the life of the rich and famous for far less. However with a reputation as an affordable holiday destination, you might wonder how the other half live when they visit this tropical paradise. 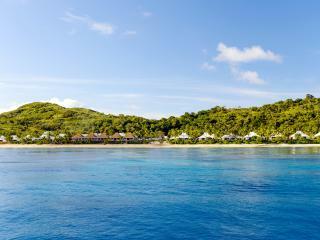 Look no further, we’ll show you how to travel to Fiji like a celebrity – minus the pushy paparazzi. 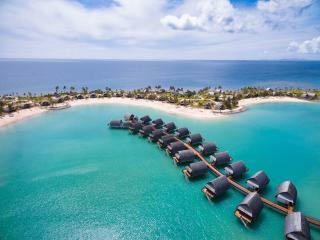 The islands of the Pacific are well-known for their idyllic images of overwater accommodation. 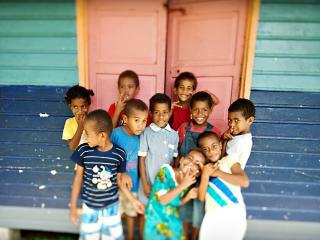 Although it has so much to offer, this was one area where Fiji was sorely lacking…until now. Honeymooners and luxury holiday makers are excited with the news that Marriott has filled the void, opening up their brand new Fiji Marriott Resort Momi Bay. The resort is the first on Fiji’s main island of Viti Levu to offer overwater accommodation and is only the second of its kind for Fiji. The images speak for themselves really. Although Fiji is famous as a tropical island paradise, there’s more to holidays here than just kicking back on the beach. More and more, the holiday resorts of Fiji are trying to minimise their impact on the natural environment and provide guests with a more traditional and natural experience. Celebrated for their sustainable practices and spectacular, environmentally significant locations, these ‘green’ resorts offer a unique accommodation experience. 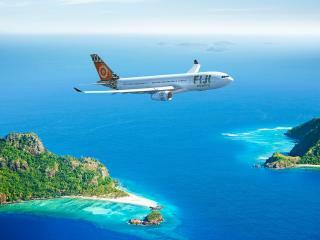 Fiji Airways has rapidly been expanding its network. First came non-stop services to Qatar, then came direct flights to mainland China. Now, South Australia is set to get a little South Pacific love with Fiji Airways announcing it will commence twice weekly flights to Fiji from Adelaide. The airline has revealed it plans to offer services Mondays and Fridays from Adelaide to Nadi from 30 June 2018. Fiji’s resort food is undergoing an overhaul. No longer are choices limited to a buffet of soggy vegetables and fried food restocked every 15 minutes. Thanks to Australian-born chef Lance Seeto, Fiji’s resort food has a new reputation for making local produce the hero and for offering more upmarket options, even for simple casual dining. Fine dining at resorts is also making a comeback, offering an improved quality not just in ingredients but also the experience. 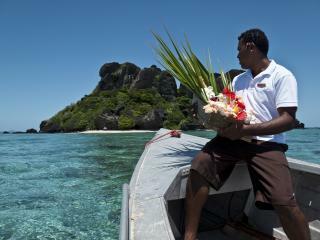 The idyllic islands of Fiji are filled with romance. From breathtaking sunsets to pristine private beaches and tropical island hideaways, Fiji holidays are the perfect way to spend some quality time with that someone special. Whether you’re celebrating an anniversary, tying the knot, renewing your vows or just want to enjoy some romantic time together in paradise, these romantic Fiji resorts are the ideal way to keep the magic of Valentine’s Day romance burning. Only in Fiji could the concept of holidaymakers pitching in to help build community projects while paying for the privilege succeed however Outrigger Fiji Beach Resort general manager Peter Hopgood has managed to do just that. A part-time resident of the Sunshine Coast, Hopgood created the community tourism project seven years ago and as improbable as it seems, the concept has really taken off. On a recent visit to Fiji, Belgian Deputy Prime Minister and Foreign Minister Didier Reynders hailed Fiji’s education system after meeting with staff and students of Viseisei Primary School. Impressed with the education system in Fiji, the Deputy Prime Minister spoke to management at the school and praised Government initiatives that ensure all children have access to education. The organised travellers among us love to skip the queues at the airport by taking advantage of online check-in, but between getting your suitcase packed and getting to the airport on time sometimes this convenience is forgotten. This means joining the line with every other passenger on your plane to check-in, sometimes with heavy bags and screaming children in tow. 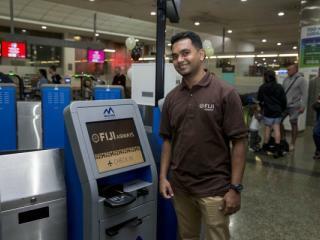 For Melburnians travelling to the beautiful islands of Fiji, relaxation starts the moment you arrive at the airport thanks to the new self check-in kiosks from Fiji Airways. For most Australians, Fiji holidays are synonymous with the tropical island resorts of Nadi and the Mamanuca and Yasawa Island groups. While these resort-based holidays are popular for obvious reasons, there is so much more to Fiji. 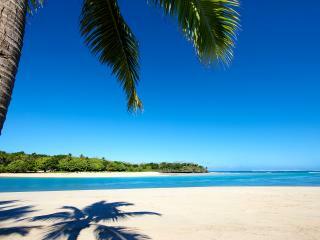 Fiji is known as a relaxing tropical oasis and welcoming Pacific Island. 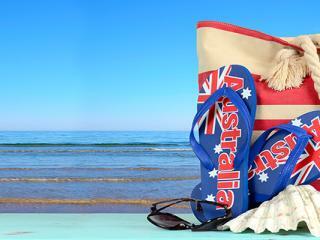 Located under 4 hours from the east coast of Australia, it’s a popular holiday destination for Aussie families and couples. Whether you’re after exclusive private islands and fine dining or basic island bures and roadside grills, Fiji offers the perfect island escape not matter your budget. 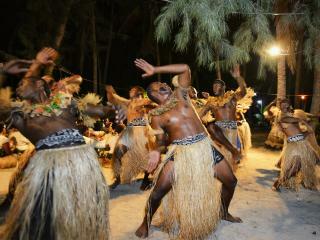 Monday 10 October marked the celebration of Fiji Day, the culmination of a week of festivities known as Fiji Week. Commemorating the 46th anniversary of Fiji's independence, the occasion was celebrated in a number of ways but perhaps what was the biggest honour of all was the restoration of the Fijian flag on the aircraft of Fiji Airways. 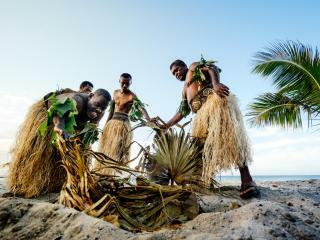 Can You Survive Fiji's Mana Island? While Australian's might be tuning in to see the teams battle it out in Samoa, the first episode of season 33 of the American reality TV series Survivor has aired and this time, the castaways are competing to outwit, outplay and outlast in Fiji's Mamanuca Islands. The episode aired to 9.25 million US viewers. Every fisherman hopes for that monster catch. The one that they'll be talking about for years to come. The one that doesn't get away. This week in Fiji, Australian expat and spear fisherman Jaga Crossingham managed to do just that. Some may roll their eyes at the old about 'you're going to need a bigger boat' but in Crossingham's case the sheer size of his fish might leave him with no other choice after catching a monster Wahoo. History was made last Friday when Fiji's men's rugby sevens team stormed their way to victory and the country's first Olympic gold medal. Incredible scenes erupted both on the Olympic field and back home in the idyllic tropical island of Fiji when the nation practically came to a stop to watch the team take victory over Great Britain in what was also the first Olympic gold for any small Pacific nation. There's been some controversy surrounding the upcoming Olympic games in Rio. However despite ill-finished accommodation, drug cheats and local crime sprees, there's one brave team who the whole world is behind - the Fiji rugby sevens. Celebrating Fiji Airways' new route between Nadi and San Francisco, chef Lance Seeto created the country's first ever gourmet standard pop-up restaurant by the 15th hole of the famous Denarau Golf & Racquet Club. Affectionately dubbed the Neil Perry of Fiji, Seeto is renowned for his award-winning restaurants, weekly newspaper column and airline culinary ambassadorship. However at age 50, Seeto perhaps has more in common with celebrity chef Jaimie Oliver these days. Three-time world champion surfer Mick Fanning remains undecided about his future despite returning to the World Surf League 2016 Fiji Pro Tour. Fanning took a break from the pro tour this season after a horror year in his personal life which included a shark attack at Jeffreys Bay, the breakdown of his marriage and the death of his brother. Fiji has just been announced as having earned a place on the PGA European Tour thanks to the continued expansion of the Fiji International event, which will be co-sanctioned by the PGA Tour of Australasia and PGA European Tour. As the two bodies agree to grow their relationship, it looks like the biggest winners of the Fiji International could be Australian professionals when the event is held at Natadola Bay from October 6-9. 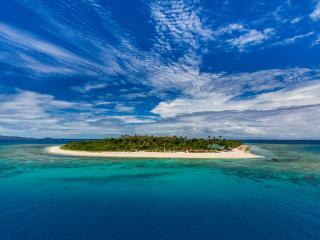 Fancy Owning Your Own Fijian Island? Most Australians dream of scooting off to the pristine beaches of Fiji, but now, if you're rich enough, you could buy your own Fijian island. 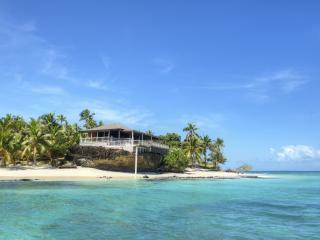 Bounty Island is for sale. 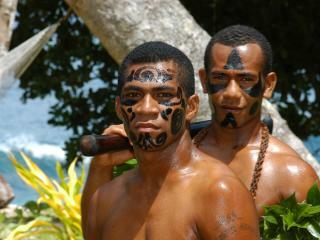 Located in the Mamanuca group of islands, Bounty Island measures 19.4 hectares and is conveniently close to Port Denarau. It's now also up for sale by international tender. Tropical Cyclone Winston tore through Fiji on 20 February 2016 with winds of up to 330km per hour. The small island nation was lashed by the storm which left damage, devastation and sadly, death, in its wake. 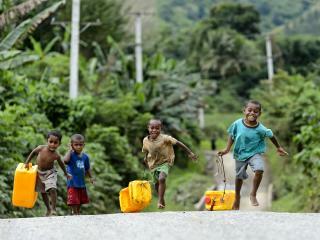 At the time of publication, the death toll has reached 29 and thousands are without their homes, food or water. Unfortunately the people of Fiji have once again been faced with Mother Nature's worst, and our hearts are with them as they begin to rebuild their communities, displaying their characteristic strong sense of resilience. Hot on the heels of that romantic holiday, Valentine's Day, Tourism Fiji has announced a new wedding expo is to be held in March, showcasing more than 50 products and services specialising in Fiji weddings. Last Thursday, over 60 industry representatives met in Namaka at the Tourism Fiji Head Office to be briefed on the inaugural Tourism Fiji Wedding Expo. 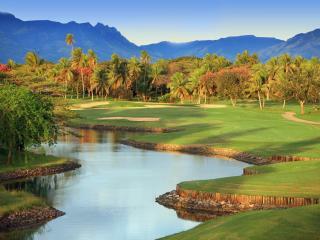 Is This Fiji's Most Challenging Golf Course? While golf may not be the first thing that comes to mind when you think of Fiji, it may surprise you to learn that there are some fantastic Fiji golf opportunities and championship events including the Championship Opens for both ladies and men. 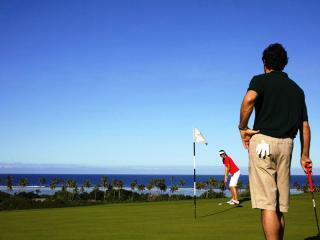 There are a wide range of golf courses in Fiji, from basic 9-hole courses and 18-hole championship courses all the way up to the granddaddy of them all, the 72 par championship course of Natadola Bay. Just like anywhere in the world, there are people who will try to take advantage of the situation. Even the local cabbie goes the 'long way' sometimes. Although it's home to some of the friendliest locals in the world, there are also some people in Fiji who will attempt to take advantage of good-natured or hapless tourists. The best way to avoid being taken advantage of is to familiarise yourself with the local culture and customs. 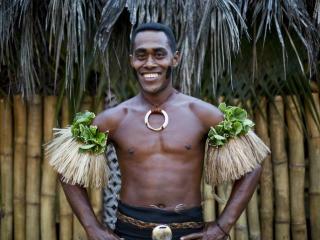 Fiji has become a mecca for movie makers, however Hollywood's love affair with Fiji dates back further than you'd think. 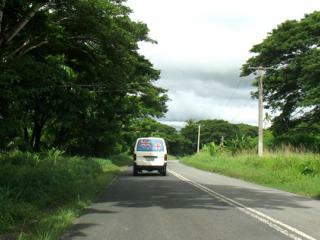 In fact major motion picture movies have been being made in Fiji for more than 70 years. 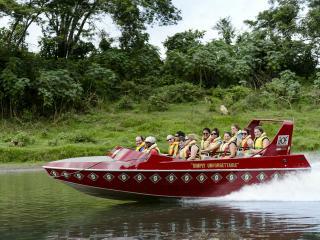 With many Fiji holiday packages offering tours to showcase some of the more memorable filming locations, you too can re-enact some of the most famous scenes from your favourite movies. 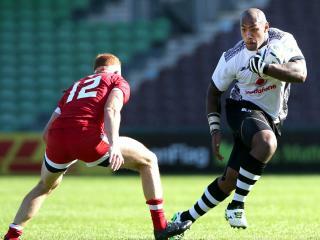 Fiji has put in some impressive performances for the 2015 Rugby World Cup and rugby fever has well and truly taken hold. Having delights the crowds for years, 2015 has seem them really up the ante. Fans have repaid them in kind, following them all the way to Twickenham flying their bright blue flags and bearing their flower garlands. 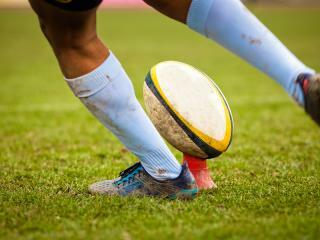 Catch some of the up and coming names in Fijian rugby in action with a holiday to Fiji. 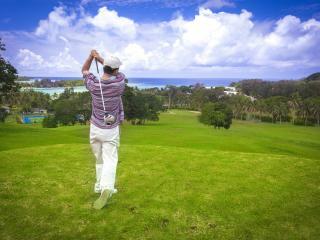 Sit back and cheer them on or even join a game with the locals with these Fiji holiday packages. 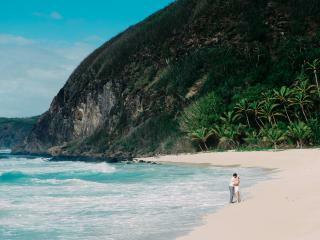 Fiji is a popular destination for both weddings and honeymoons. 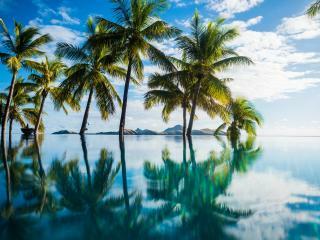 However it's not just holiday makers who enjoy celebrating their special day in this tropical island paradise, many celebrities and royals have included Fiji in their weddings and honeymoons. In fact, Prince Carl Philip and his new bride Princess Sofia of Sweden are currently enjoying their honeymoon in Fiji. 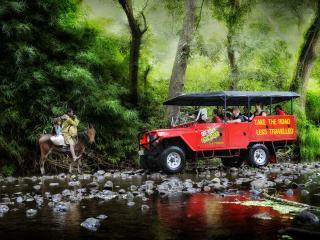 Although not usually the most common option for those visiting Fiji, navigating the islands on four wheels can be a fun and unique experience. Whether you're a Fiji first timer or know the place like the back of your hand, driving in Fiji as part of your holiday is a different way to explore at your own pace. There are a number of Fiji car rental kiosks on the island so whether you just want a small car to help get you from A to B or want to bring out the big guns with a 4WD, there are a great range of rental cars to choose from. Although golf may not be the first thing that comes to mind when you think of Fiji, you may be surprised to learn that Fiji is in fact a golfer's paradise. The island's spectacular scenery, tropical climate, laidback lifestyle and beautiful resorts offer the perfect conditions to work on your game and your tan. Whether you're an experienced diver or a first timer, diving in Fiji is an incredible experience. 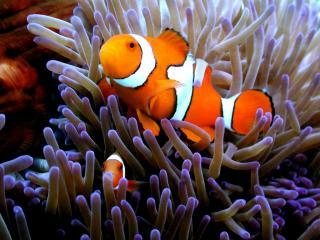 The warm, clear water offers great visibility, all the better to see the myriad of colourful corals and tropical fish. 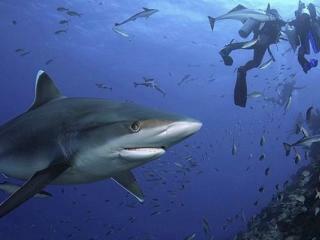 Although every dive in Fiji will be different, each dive will be equally enjoyable and rewarding. Not just the dive itself, the instructors make before and after your dive a wonderful experience as well, making sure you get the most out of your dive. Last night marked the opening game of the Oceania Netball Series at Suva's Vodafone Arena which saw New Zealand's Silver Ferns thrash the Fiji Pearls with an 81-21 score which was heavily dominated by the Ferns. Eager to redeem themselves after their last match in Singapore in 2011 during the World Netball Championship, which saw the Pearls beaten once again 25-80. When you think of a holiday to Fiji it probably brings to mind images of smiling friendly faces, crystal clear waters, tropical cocktails and hammocks on the beach. While all of these things are true, a holiday to Fiji isn't just about doing as little as possible. Although you can choose to do as much or as little as you like, you might be surprised to know that there are actually plenty of things to see and do in Fiji aside from your resort's poolside cocktail menu. 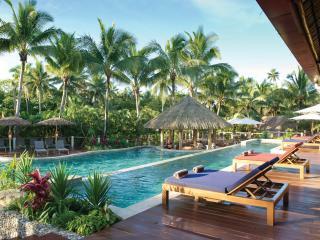 A treasure trove of stunning destinations, Fiji is a popular holiday destination all on its own. 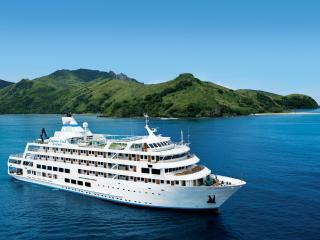 However, what better way to explore the tropical islands than with one of the wonderful Fiji cruises on offer. It's often said that good things come in small packages and while that may be true, when it comes to Fiji good things come in all kinds of sized packages and that's just how we like it. 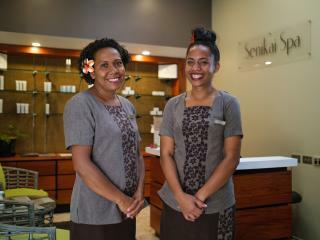 In fact when it comes to Fiji, good things come in small packages, medium-sized packages and huge packages. The choice is yours and that's precisely what makes Fiji holiday packages so popular - that and their excellent value for money. Fiji is renowned as a family friendly and affordable overseas holiday destination that has become a favourite with Australians thanks to its short and easy access. Renowned for its spectacular marine life and coral, stunning tropical weather, wonderful beaches, friendly natives and gorgeous natural attractions, we all know a big part of any holiday is the food and with these Fiji resorts with meal plans, you can enjoy fantastic food all built into the price of your holiday package. Forget about trying to find someone to fit your purse or wallet in your swimmers, Fiji resorts with meal plans mean everything is taken care of before you even arrive. Just like many parts of Australia, Fiji is known for its friendly locals, golden beaches, stunning sunny days and warm tropical climate. 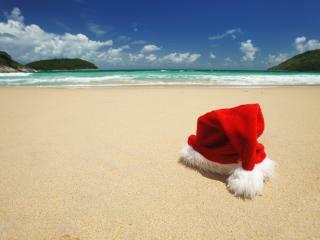 However, unlike most of Australia, in Fiji there is no such thing as winter. The Fiji weather and climate lends itself to a holiday at any time of year, but particularly in winter for those visitors who wish to escape the colder climes of home. 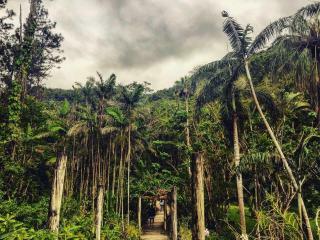 When it comes to getting around Fiji, walking is a wonderful way to take in the local sights and scenery however for those destinations a little further away taxis are an easy and affordable way to get from A to B. The major tourist attractions are most easily accessed on tours that provide transport and many resorts also offer courtesy shuttles for getting around. Although it's not recommended for first timers to Fiji, renting a car is also a great way to get off the beaten track and really explore the island at your own pace. When you think of a holiday to Fiji, no doubt it evokes visions of long lazy days spent on the beach and there's good reason for that, as that is what makes holidays to Fiji so popular. 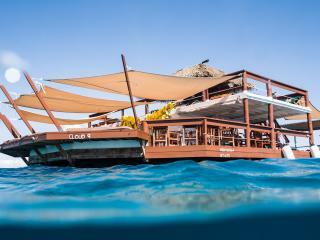 However, there is more to Fiji than just working on your tan. 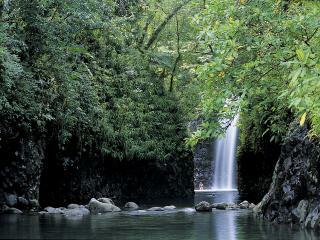 In fact, you may be surprised to find that there are actually a wide range of things to see and explore while in Fiji. 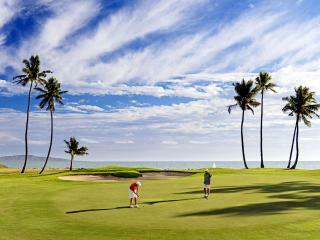 All eyes are on the Natadola Bay Championship Golf Course as we head towards May and the Pure Fiji Ladies Open. Getting to the business end of the competition, the men will get their chance to prove their skills in June with the Nadi Airport Golf Club's Nadi Open. Whether you consider yourself an amateur, a pro or somewhere in between, there are plenty of places to practice your swing in Fiji. Fiji is a popular holiday destination in the Pacific known for its relaxed lifestyle, beautiful beaches, friendly locals and wonderful weather. 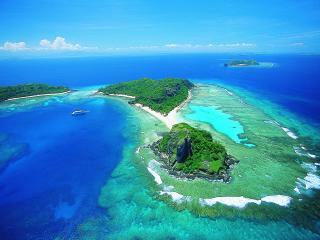 However, one of Fiji's biggest attractions is its crystal clear waters and the fantastic diving opportunities they offer. 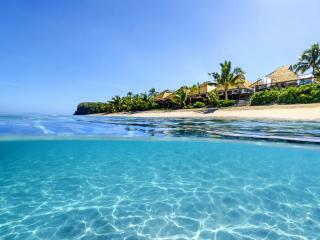 Fiji is renowned as a tropical island paradise and is increasingly popular as a wedding and honeymoon destination, however did you know that many celebrities have also chosen Fiji as the location for their wedding? While some parts of the world are celebrating a white Christmas by making snowmen and baking hot roast dinners with all the trimmings, Christmas in Fiji is a different experience entirely.